Free Pack of Orbit or Wrigley's 5 Gum at XtraMart! 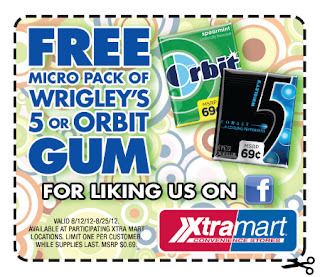 Bring this coupon to your local XtraMart to score a free micro pack of Orbit or Wrigley's 5 Gum! Expires 8/25/12.